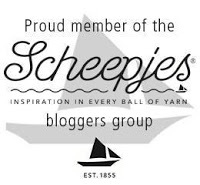 ~It is snuggly and the sample is the perfectly sized throw! ~It can be made any dimensions you want. ~The flowers provide so much fun texture--just barely opening like buds. ~You can really go to town with arranging the colors any way you want and really feel like an artist! ~I think the lattice-leafy-looking background and border are just the right touch for a garden feel. ~The back of the throw is pretty fabulous, too! Yep. This design makes me seriously happy. Making this baby started with making the flowers--288 in all. That sounds like a lot, but they work up super fast and I found the "surprise" of seeing which color came off my hook each time seriously fun! It's sort of like watercolor paints. Not one to be afraid of ends (and working over the first of each flower), I was thrilled to see this beautiful collection of budding color! Then I got to play with the colors! I laid them out carefully on my bed. Moving this one...switching those two...ahhh, there! That's just right. But now what? I've gotta crawl in that bed in a couple of hours. And these flowers don't stack. ...I took dowels or skewers, labeled them with the row numbers on tape (which helps to keep the flowers from falling off the end, too), and inserted the dowel through the center of each flower, row by row? I now have flower kabobs--all organized and portable and space-saving while I work on the join-as-you-go! I'm pretty tickled with this solution. I would simply pull off the next flower in the row I was working and join it. Problem solved. Speaking of joining, I'm pretty tickled with how it goes for this one. If you've never tried join-as-you-go--it's fabulous! Have no fear, I provide a complete photo-tutorial (no need to print) to help you through. For this project, I used 10 colors of Red Heart Unforgettable, but you could use fewer (or more, too) of this or any long color-run yarn to get a similar effect. And although it says it is worsted, the Unforgettable actually seems more like a DK/light worsted to me. 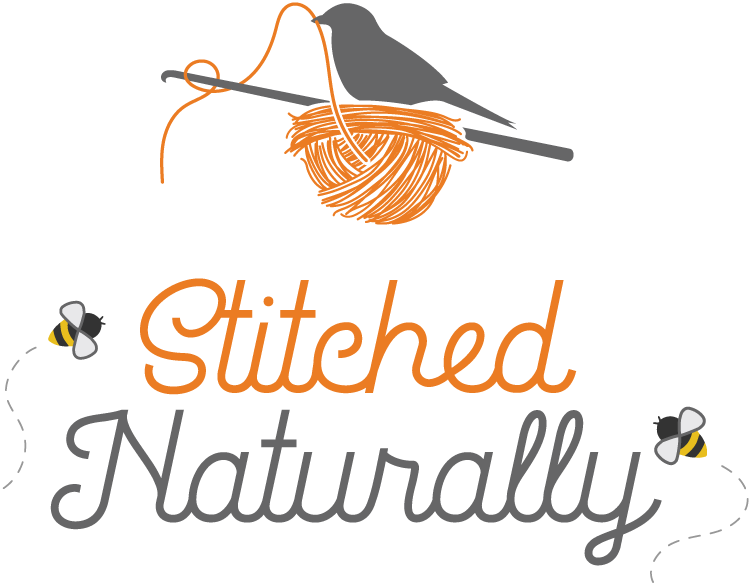 Have a super terrific day and remember to stay in the "Button" loop by subscribing to the newsletter (top of the sidebar) or following me around on Instagram (@FeltedButton), Pinterest or Facebook. This is simply stunning as all your patterns are....do you tell how to organize colors? Thank you, Denise! Yes, I provide tips for layout in the pattern, but obviously not exactly as each flower ends up unique. This blanket is enchanting. I love every aspect of it! Simply beautiful. I appreciate your sweet words, Lauren. So happy to hear you like it! Wow! What a beautiful blanket! Thanks! It is really snuggly as the flowers give it some texture and weight. The background is lacey and lighter--so it's a great weight for snuggling under! Thanks, Maggie! I'm pretty tickled about it! Beautiful! I like flowers colors! And background - wonderful! Thanks for always taking a minute to comment, BJ. You are too kind. Thanks for all of your support and kindness, Marianne! I thought the name was fitting, too! Your work is stunning as always. Thank you, Caroline! That means so much coming from you! I simply love your work! Hi! I've been reading your blog for a while but never commented before. This time though, I felt compelled. Wow, what a beautiful beautiful blanket! The colors, the design... fabulous! You are a very very talented lady! 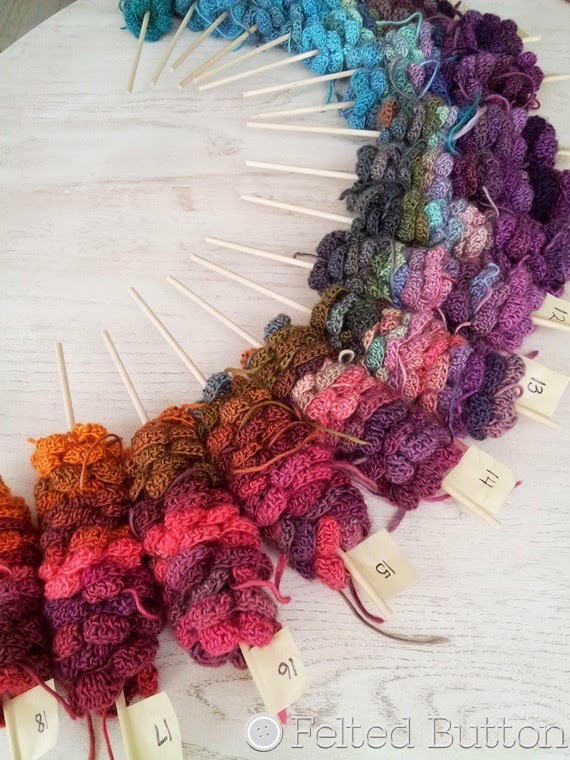 You mention using Red Heart Unforgetable yarn, being in the UK I found it on Amazon.UK but there are several (ie Sunrise, Echo Dragonfly...) may I ask which one(s) you use please? Also what green yarn did you use? 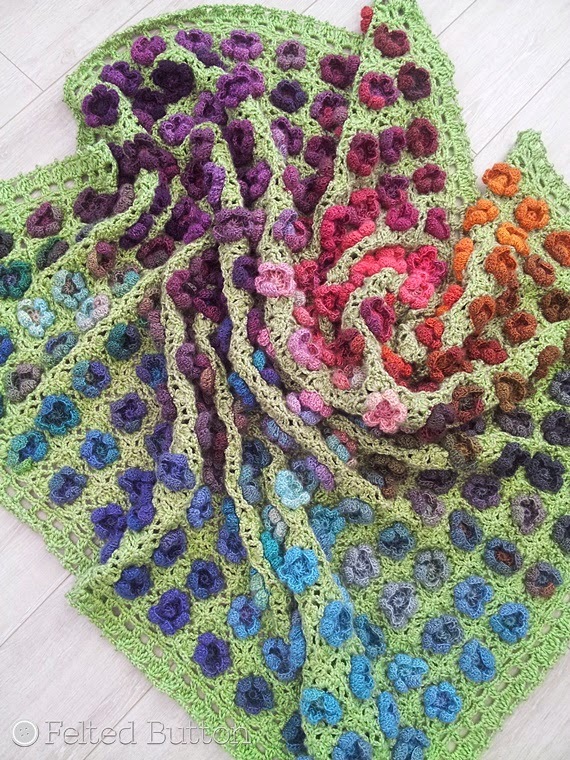 Do you explain in the PDF where to place the different flowers for the same effect as your blanket? I'm not colour blind but I might as well be for all I cannot put colours together and make them look nice, all I can do is copy!!! Thanks for sharing your wonderful work with us. Thank you so much for the kind comment, Corinne! I used 9 different colors of Red Heart Unforgettable, but actually, any yarn with really long color runs would work well. 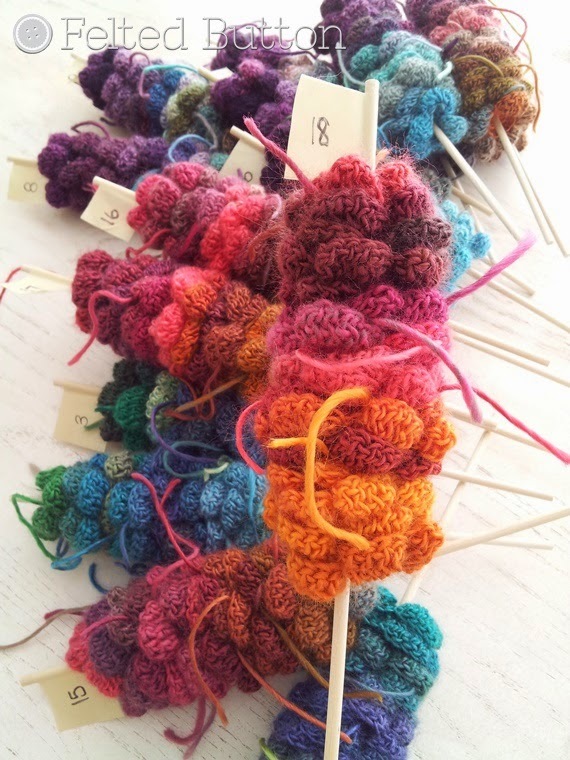 Forgive me, I do not have the pattern in front of me, so am unable to identify the exact colorways. 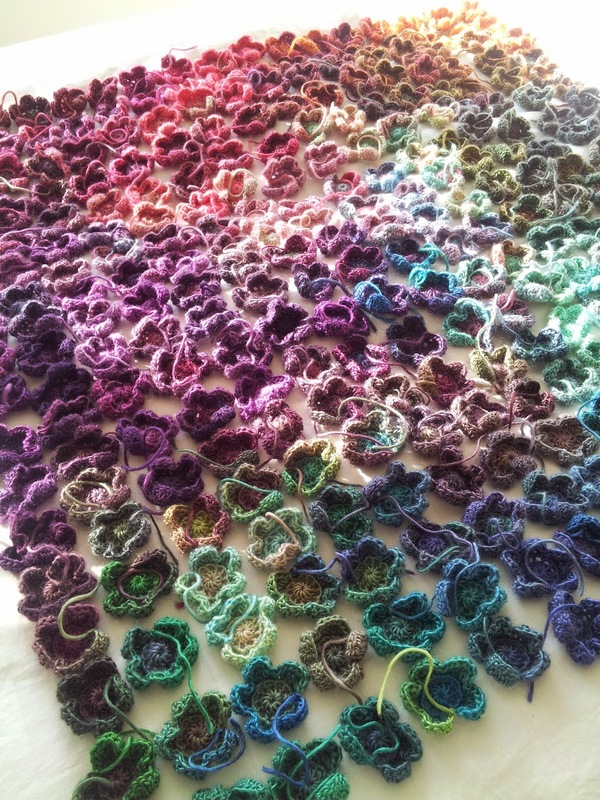 I do explain in a general way how to lay out the flowers, but can't exactly as each individual skein will produce flowers with slight variations. It's easier than it looks to make it look pretty, even for someone who is not skilled with color. The green yarn is Caron Simply Soft, a worsted medium (4) acrylic yarn--6 skeins total. I hope this helps! Thank you so much, Pat! I loved playing with these colors! It really let the creative/colorful juices flow! Wow, this blanket is beautiful. Prob one of the most gorgeous I have seen. I love the shades of the flowers, and the green was the perfect leafy color. I follow and share. I seen this on Hookin On Hump Day. Thanks for sharing it. Its just beautiful. I follow and share. I forgot to tell you how genius the skewer idea was! I loved it! I am crushing on your blanket. So beautiful. Crystal, Thank you so much for your super sweet words! I am happy you found me! If you ever give the skewer idea a try, let me know how it works for you! Beautiful piece of art! You are an artistas! Greetings from Spain. I am in the UK and had to cut down on the colours as Deramores only stock a few shades of unforgettable. King Cole riot has a good long colour run and I have added some of that too for anyone wondering about a good substitute. Absolutely fabulous! 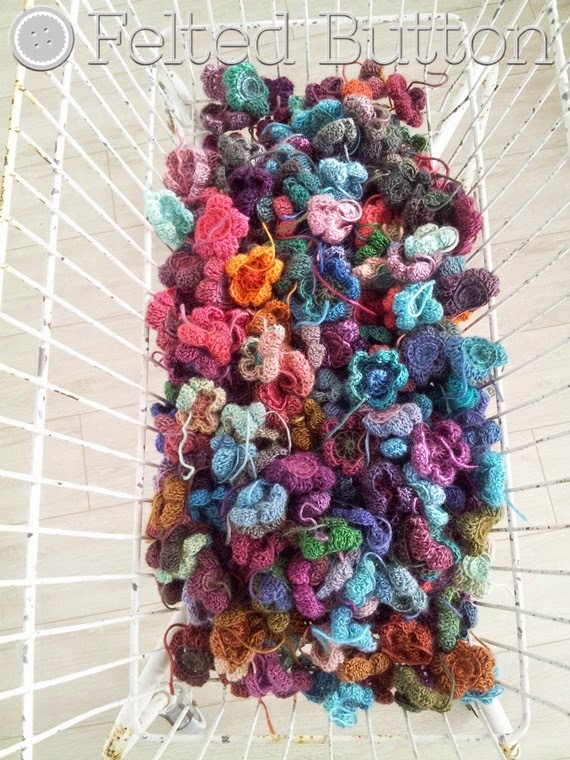 I've alreadi too many blankets but if i can find the wool i'll make it.I'm very fond of a work that takes a long time .